A nonprofit dive group called Global Underwater Explorers this month is conducting a survey of coral reefs off the coast of Fiji. The project, called Project Baseline, is documenting coral reef ecosystems in Fiji to better understand the health of Fiji’s deep and shallow reefs and how they may be changing due to climate change and population pressures. Global Underwater Explorers began with a group of divers whose love of underwater exploration grew into a desire to protect those environments. In 1999, they created a nonprofit organization dedicated to high-quality diver education with the goal of supporting aquatic research that advances conservation and safely expands exploration of the underwater world. 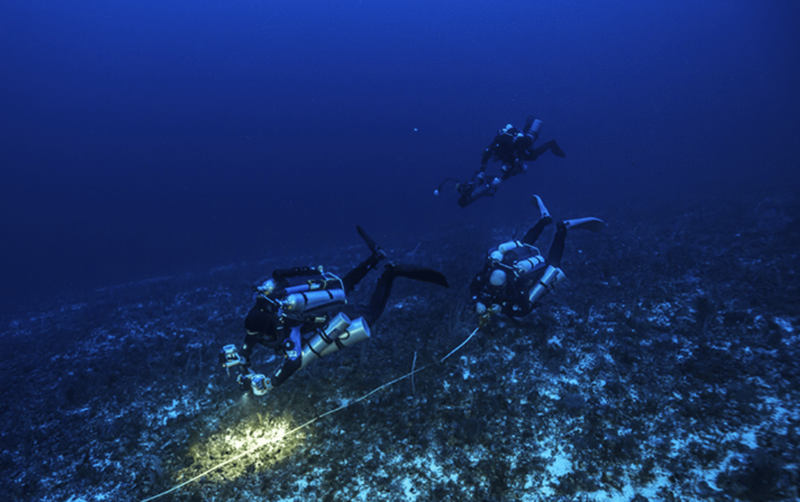 A team of GUE technical divers from the United States and New Zealand is working with marine biologists from the University of the South Pacific (USP) and the Florida-based Nova Southeastern University (NSU) in a Triton 1,000-meter submersible. The team is working from the motor yacht Ad-Vantage and will be supported by her crew along with submersible pilots and engineers. The Ad-Vantage’s owners donated the vessel for the duration of the project. The project’s primary objectives are to collect photographic and video surveys of coral reef and deeper ecosystems in water depths between 5 and 1,000 meters (16 and 3,281 feet) at several sites near the islands of Kandavu, Beqa, and Viti Levu. 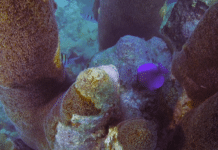 Scientists will use the surveys to establish coral and fish species distributions and densities. The project began on May 13 and is expected to run through May 27. In addition to supporting USP’s efforts to monitor and document the health of Fiji’s coral reefs, the data collected will be added to GUE’s growing Project Baseline database, aimed at establishing baselines for underwater ecosystems worldwide. Project Baseline is a global grassroots conservation effort started by GUE to aid in the conservation of the world’s aquatic environments. 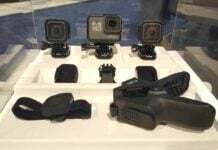 It encourages divers around the world to systematically and continually document underwater conditions at their local dive sites in a reproducible manner, share their observations via the Project Baseline online database, and cultivate collaborations in which their work will benefit ongoing scientific and conservation efforts. Project Baseline expeditions, such as this one in Fiji, foster collaborations between scientific, government, and private entities aimed at understanding and protecting the world’s most special marine environments and endeavor to leave behind ongoing locally run teams who will carry on the Project Baseline mission. All of the imagery and data collected will be accessible to the public on Project Baseline’s online database. For more info, check out the Project Baseline website at projectbaseline.org or check out the video below.  We’re honored to be featured in this issue of Deeper Blue. There’s a lot of diving going on here. We’ve got divers from five countries (GUE, PADI, and NAUI) working together to achieve our mission goals. Everyone is working hard to show what divers can do to advance the cause of ocean conservation. Way to go Todd; keep up the great work!